In French, Sauvage means ‘wild’ and with the masculine fragrance of the same name, DIOR aimed to create a fresh masculine fragrance inspired by wide open spaces, representing nature at its most untouched and wild. DIOR presents Sauvage as “an ozone blue sky sprawled above a rocky landscape, white-hot beneath the desert sun”. It’s a fragrance built on the idea of contrast – with vast freshness (the blue sky) juxtaposed by something harsher and more rugged (the rocky landscape). Together these contrasting facets create a harmonious signature that is thoroughly modern and undeniably wild. The Sauvage collection consists of three editions; the original Eau de Toilette, with its clear, fresh signature, the Eau de Parfum which adds a warm, sun-scorched interpretation to the mix, and the Very Cool Spray which, as it sounds, provides a cooler take on the fragrance in an unconventional application method. In this edit, I’m going to guide you through all things Sauvage so you can answer that burning question: which one is for me? Spoiler alert: it may be all of them! As the first entry into the Sauvage collection, Sauvage Eau de Toilette created the signature that has become so distinctly ‘sauvage’. Here the contrast between fresh and rugged facets is most distinct. The top half of the fragrance is a white-out of sparkling bergamot and pepper, creating a crisp opening that feels reviving but also grey and rocky. Lavender, a signature of masculine perfumery, brings history into the scent but also creates an impression of dry shrub-land, linking the citrus of the top notes to the wave of ambroxan, which brings a silvery breeze and a mineral quality to the base. Sauvage has a freshly-laundered feeling to it. It feels clean but also dazzlingly bright, creating the idea of giant pieces of white fabric, almost luminous under the sun, clashing against the deep azure of a cloudless sky. It’s the perfect fragrance for the man who has a casual spirit but also a rebellious nature. Smelling Sauvage Eau de Parfum, one is instantly able to recognise the Sauvage signature but it feels as if the balance has shifted somewhat. In the Eau de Parfum the Sichuan pepper, which played a big part in the Eau de Toilette, has an even more prominent role and boasts a stronger, more effervescent character and grainy texture. It adds a suave, grey quality that feels more sophisticated. A further key difference is the addition of vanilla – a surprising twist that gives Sauvage Eau de Parfum a new character that is distinctly more oriental, allowing Sauvage to evoke the feeling of rocks warmed under the evening sun. If Sauvage Eau de Toilette is for the free-spirited rebellious man, then the Eau de Parfum is a fragrance for when he wants to display a softer side with a fragrance that is ultimately more inviting and soothing. 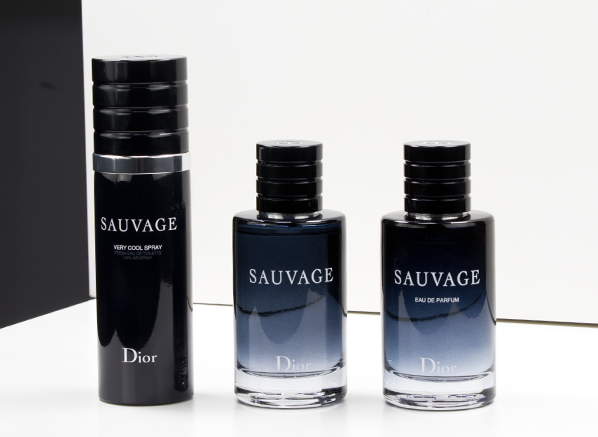 And now for something entirely different… Sauvage Very Cool Spray is a bit of a technical marvel. It’s an Eau de Toilette Air Spray that comes in an unbreakable spray canister that also boasts an environmentally friendly mister. This interpretation of Sauvage celebrates and enhances the elements of this fragrance through freshness and lightness. It is hugely radiant, with a more transparent quality, but a much larger presence. Everything just feels cooler, with an icier tone to the bergamot and an airier section of musks, which works with the rugged Sichuan pepper to create a cool, silvery cloud of scent. If you’re a fan of Sauvage then Sauvage Very Cool Spray is a no-brainer. You need it in your bag, whether your gym bag or man bag, for a top up on the go at any time. This is Sauvage at its most exuberant and enveloping so it’s perfect for fans of the fragrance to spray generously and revel in its wild charms. If you’ve made it this far into Escentual’s Sauvage Edit it’s probably safe to assume that you are a Sauvage fan – you live and breathe it. 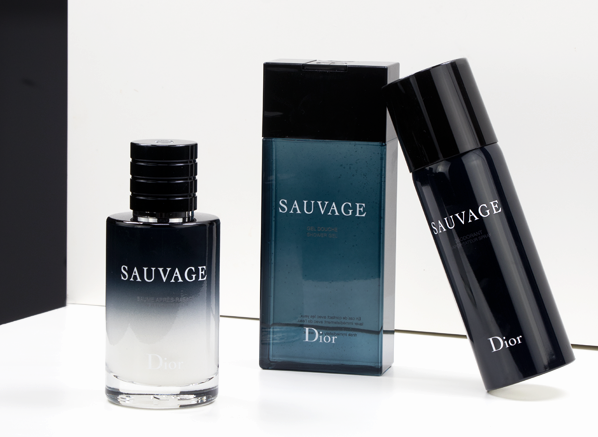 Luckily for you, DIOR has a number of Sauvage ancillary products on offer to bring your favourite scent into every aspect of life, creating a Sauvage ritual to complement and bolster the fragrance. The After Shave Balm and After Shave Lotion bring soothing moisture and fresh scent after a shave, whilst the Shower Gel provides a wild showering experience. Then, of course, there is the Deodorant Stick and Deodorant Spray – two products to keep you smelling ace throughout the day. The Sauvage ancillary products are for the guy who wants to bring Sauvage into the fabric of all that he does – he is committed to the wild and he layers up for full impact. This entry was posted on Wednesday, June 6th, 2018 at 9:45 am and is filed under Brand Focus, Candy Perfume Boy, Fragrance, Men, Spotlight On. You can follow any responses to this entry through the RSS 2.0 feed. You can skip to the end and leave a response. Pinging is currently not allowed.